Lemon GreenTea: The charm of critically acclaimed film "This is where I Leave You"
The charm of critically acclaimed film "This is where I Leave You"
This would be the film of the year, wherein I saw a little of myself. I love the way this was executed to the big screen. I laughed, cried and think a lot after watching this film, and would visit my parents this week to check on them. Warner Bros. Pictures' endearing family dramedy “This is Where I Leave You” arrives exclusively at Ayala Malls Cinemas nationwide on Dec. 17 with a flurry of rave reviews from highly regarded American critics. The story revolves around the Altman's family when their father passed away, four grown siblings bonded together with their mother four grown siblings bruised and banged up by their respective lives are forced to return to their childhood home and live under the same roof together for a week, along with their over-sharing mother and an assortment of spouses, exes and might-have-beens. Confronting their history and the frayed states of their relationships among the people who know and love them best, they ultimately reconnect in hysterical and emotionally affecting ways amid the chaos, humor, heartache and redemption that only families can provide—driving us insane even as they remind us of our truest, and often best, selves. 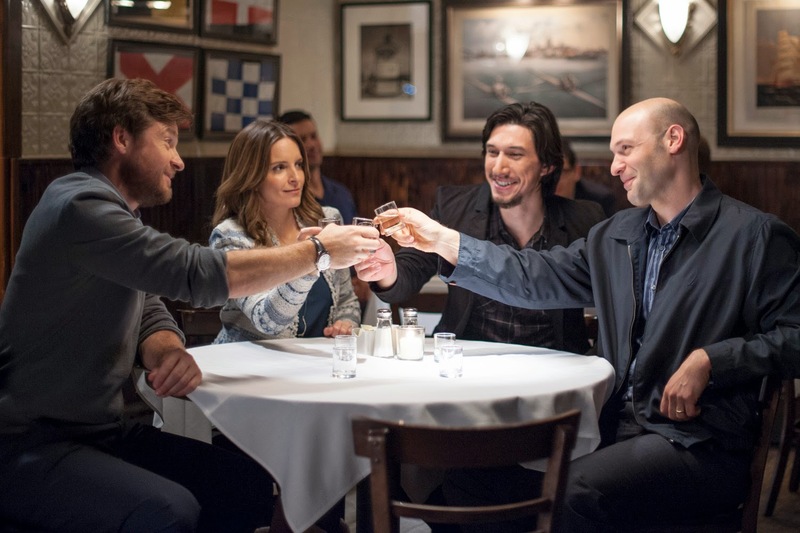 Variety's resident film reviewer Scott Foundas writes, “`This Is Where I Leave You' is a sprawling ensemble dramedy that starts out like a full-tilt sitcom and gradually migrates to a place of genuine feeling. Repping a concerted effort by `Night at the Museum' and `Cheaper by the Dozen' helmer Shawn Levy to spread his wings beyond the gilded cage of family-friendly tentpoles, this alternately manic and mawkish adaptation of Jonathan Tropper’s 2009 novel aims for `Terms of Endearment' territory and ends up somewhere closer to a Semitic `August: Osage County.' But a tremendous ensemble cast gives the pic a significant boost, especially when they’re allowed to act rather than merely act out. For his part, Newday's Rafer Guzman applauds, “Shawn Levy's new film, `This Is Where I Leave You,' checks off so many Hollywood boxes that you might suspect it of blatant pandering. Star-studded cast? Check. Based on best-selling novel? Check. Drama, romance, humor and pathos, all set against that instantly identifiable backdrop, the American suburb? Check, check and check. “Despite or perhaps because of all that, `This Is Where I Leave You' works marvelously. Written by Jonathan Tropper from his novel about a dysfunctional Jewish family sitting shiva for its patriarch, [the film] is the year's first real crowd pleaser, a comedy-drama that presses all the right buttons but does so with intelligence and skill. It's not too heavy, not too light -- just right for a grown-up night at the movies. The dramatic comedy “This is Where I Leave You” is directed by Shawn Levy, and based on the hilarious and poignant best-selling novel by Jonathan Tropper. It features a starring ensemble cast, including Jason Bateman, Tina Fey and Jane Fonda. To be shown exclusively at Ayala Malls Cinemas nationwide starting Dec. 17, “This is Where I Leave You” is distributed worldwide by Warner Bros. Pictures, a Warner Bros. Entertainment company.